Does your little lady <3 swimming? Then she is going to fall head over heels for the heart-pattern of the Speedo Logo Short Girls’ Sleeve Suntop. This bold cherry red sun top with a daisy white accent collar and a cute calligraphy Speedo logo scrawled across the chest features strawberry and blueberry hued hearts dotted all over the sleeves. 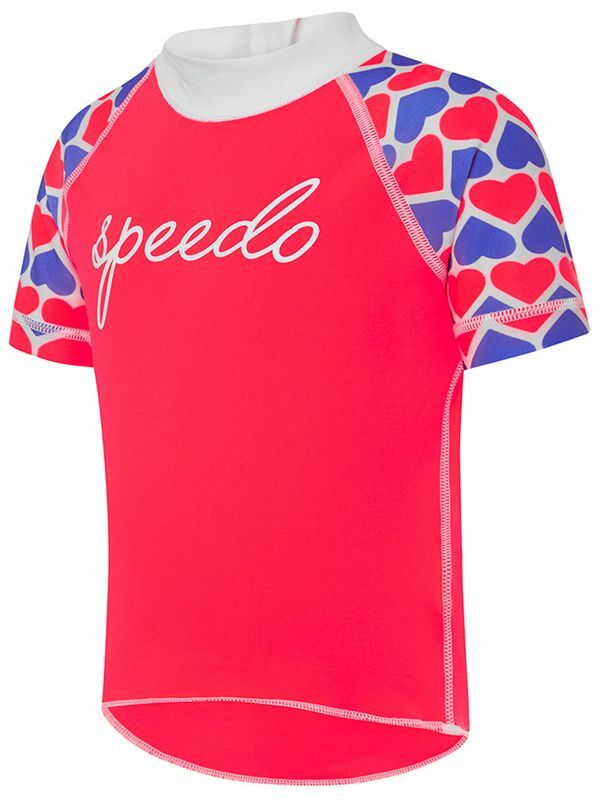 Hearts Toddler Girls Short Sleeve Sun Top manufactured by Speedo Swimwear the worlds leading swimwear brand. Speedo is passionate about life in and around the water, creating revolutionary new technologies, designs and innovations.